103 minutes. Buy for $10. Sell for $20. Includes Multiplication, Division, Fractions and more. This book is designed to be used with the Grammar Songs CD, cassette or mp3s. Profit $98.75 plus FREE SHIPPING. 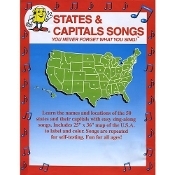 This book is designed to be used with the Grammar Songs CD, cassette or mp3s. Profit $197.50 plus FREE SHIPPING. This book is designed to be used with the Grammar Songs CD, cassette or mp3s. Profit $395. plus FREE SHIPPING.